If you have already started your summer break from school, you have probably heard the words "I'm Bored!" already. I know I have. My kids love to craft and duct tape is one of their favorite mediums to use. 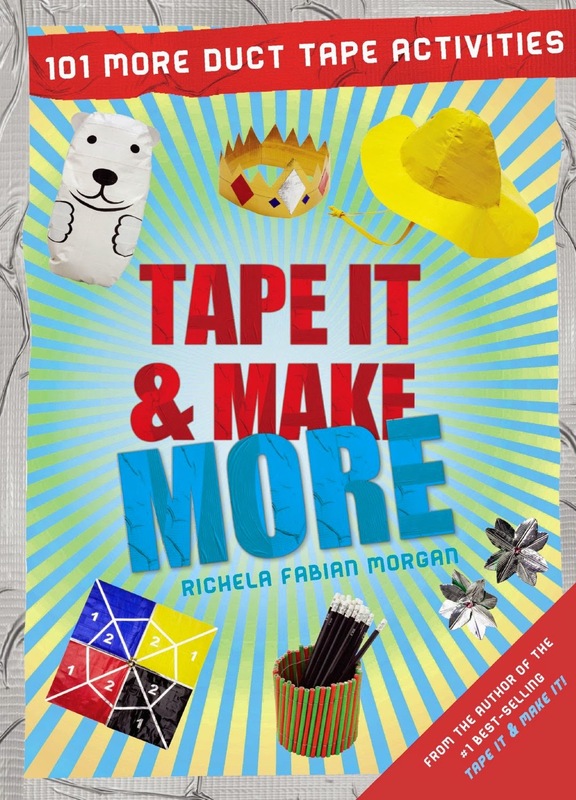 Richela Fabian Morgan may just be the queen of duct tape! We purchased her book Tape it & Make it when my son first started getting into crafting with duct tape. It was by far the best book for ideas and ease of use. Where her second book Tape it & Make More came out we jumped on the chance to review it. 101 more duct tape activities that will keep my kids occupied for a short time, and many of the crafts are ones that are useful as well. 101 activities, where will you start??? The book is nicely organized so if you have a thought in your mind what style of activity you would like to begin with, you can easily turn to that section. The first one my kids chose to do was cozy slippers. They even wanted to wear them to their youth group class. So fun. Hey they are just as good as flip flops I figure. For Mother's Day my son made several of the flowers from chapter 6. Last so much longer than 'real flowers' and have more love put into them. He also made a bow tie to complete his Dr. Who look! Some activities just take a small amount of duct tape, and I encourage those with the kids. Some look like they would take quite a bit like some of the bags and cases. But these are also some of the practical activities that you could actually use and get some longevity out of. The great thing about duct tape is it lasts for ever! Why do you think 'redneck's' use it to fix everything? Excellent book for all ages! My 3 children (ages 10, 10, & 13) are addicted to duct tape crafts! They are constantly asking to go to the store to purchase a new color, just so they can start making a new item as soon as they get home!